A film adaptation of the TV series which depicts the journey of a middle-aged man with a two-month old puppy in search of his mother who has run away from home. The film has a rich lineup of established actors from TV dramas, films and stage performances under their belts, including Sato Jiro who stars in this film. 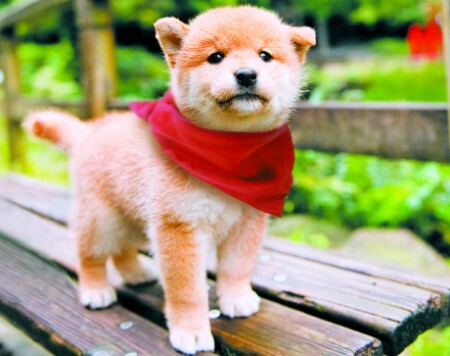 One day Jiro (Sato Jiro), a 35-year old unemployed male who has never stepped out of his town, runs into Ichiro, a Mameshiba puppy with a red scarf around its neck. Ichiro turns out to be a puppy Jiro’s runaway mother had sent for her family to come looking for her. “MAMESHIBA” is one of the movies for DVD screening. If interested in screening Japanese films, please feel free to contact us for further information.